...I'VE HOSTED CHAT NIGHTS ABOUT IT!!! HOW COOL DOES THAT MAKE ME?!?!?! In reality it ended up causing a major Mr. Vin Diesel overload! 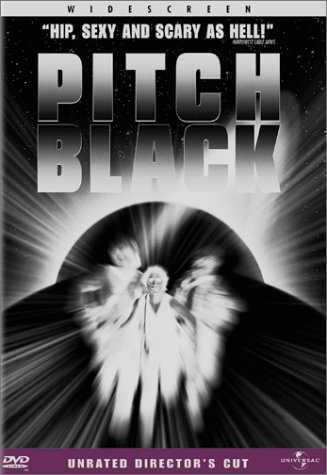 I never thought I would say this, but I was mighty sick of "Pitch Black" by the time it was all said and done. See, I didn't just do it ONE night. I did it FOUR nights! Four nights -- IN A ROW! 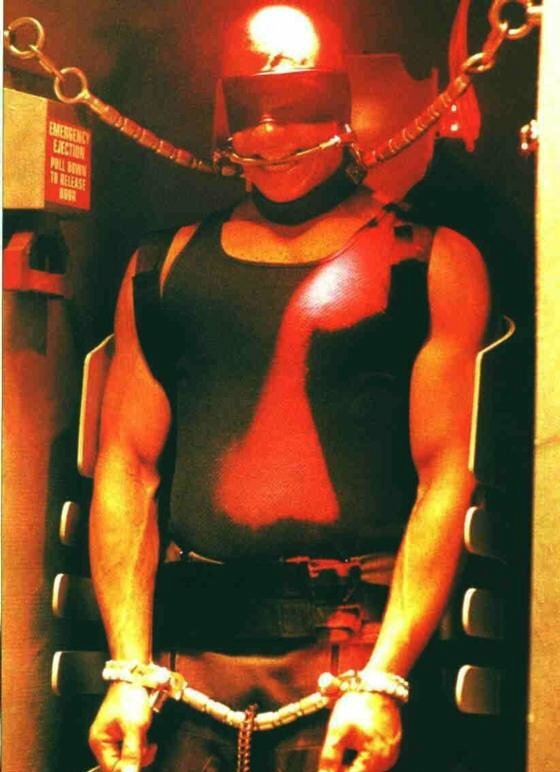 You've got a group of sexually frustrated women that are completely obsessed with Mr. Vin Diesel and they are all locked in a chatroom together with their own copy of "Pitch Black" in their own VCR'S (you catch that Mr. Diesel? VCR'S PLAYING VHS! NOT DVD! SHEESH!). So these sexually frustrated women start watching this flick that stars the online-he-god himself and while they are watching the flick, they "talk" about it in the chat. Here's a novel idea! Why don't you throw a DVD PLAYER in with "Multi-Facial", "Strays" and the scanner? OH, MAN I WOULD BE IN HEAVEN IF YOU WOULD DO THAT! ANYWAY -- I bet you'll never be able to guess what happens to these ladies! 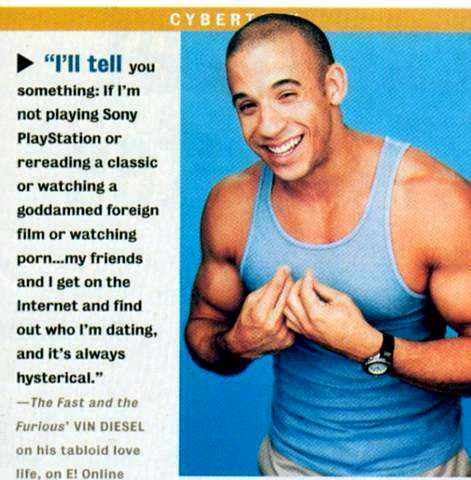 And it's all because of Mr. Vin Diesel. He get's them ALL hot and bothered. It's that whole TIE-ME-UP-TIE-ME-DOWN thing. by Mr. Vin Diesel that they actually FORBID their wives from spending time online? That blows my f'ing mind. That's like being jealous of a dream. The ogre used the phrase "I FORBID IT" once. Did I mention that I'm divorced? However, maybe these women take it to the extreme. Maybe they are so far gone into some fantasy world that forbidding online activity is warranted. It is entirely possible that the women that have partners acting this way have truly brought it on themselves by spending all their time online reading and posting and chatting and drooling over "ANOTHERMAN". Maybe even neglecting work or the house or GODFORBID! the children. But if we take that as a possible, then we have to take it's opposite as a possible, too. That they DON'T spend excessive amounts of time online and that it's their HUSBANDS that live in some fantasy world. A fantasy world where their wives don't know any alternatives. A world where these men have complete control. Complete control means no outside contact, like the internet. The internet is the homebody's doorway to the world and maybe these men try to shut it. Because it is through that doorway that these women might just run into some free-thinking-opinionated-broad (like ME) that can see right through that smack and call a spade a spade. Either way I think it's pathetic. I am thoroughly and utterly appalled by the FACT that there are REAL PEOPLE out there in the REAL WORLD that are having REAL PROBLEMS because of a world comprised of 1's and 0's. I just never realized that people would ALLOW the internet to affect their lives in such a manner. Because it's NOT REAL in here. I mean, they DO UNDERSTAND the difference between FANDEMONIUM and REALITY. I guess I'll have to get back to you on that one. 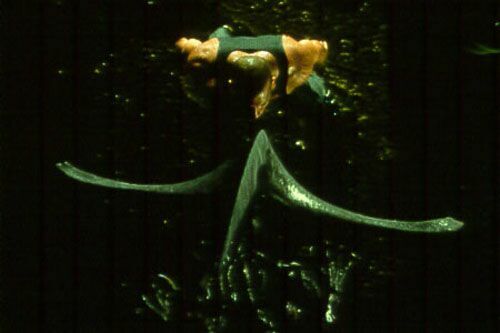 ***The "Official Pitch Black Web Site" appears to have melted into the twighlight zone. When you follow the link you are just sucked into Universal Studios Web Site.